all requirements that are laid down in the statutory laws. 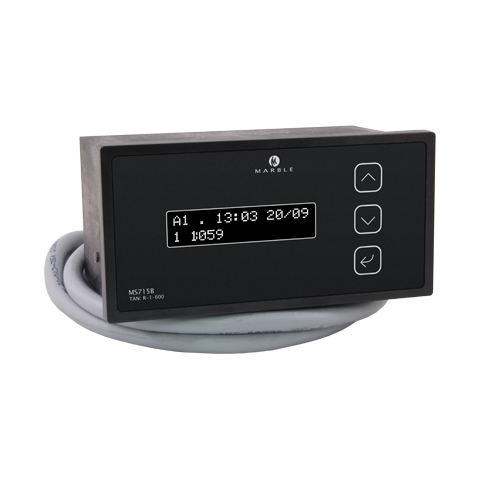 To sail outside block hours, a well functioning, approved Tachograph is compulsory. This Tachograph need to be in operation from (at least) the beginning of the last continuous resting time of 8 (A1 mode) or 6 (A2 mode) hours, and needs to be available at all times for the inspection. The MS715B is approved by the Fachstelle der WSV für Verkehrstechniken (FVT) which is the competent authority to approve tachographs the MS715B and the installers in accordance to the regulations of the Central Commission for the Navigation of the Rhine (CCNR). The certification type approval number is R-1-600. Investing in the MS 715 means you will be able and are allowed to sail more hours. This means: SAILING EFFICIENCY!